The show that just keeps on giving. THE X-FACTOR IS back, which means it’s practically Christmas and your Boots Advantage Card vouchers are probably en route to your gaff. 1. … Like this audition. 2. The time they did a whole bit on Harry Styles seemingly being a nudist. 4. Sharon Osbourne faceplanting a door because she was laughing at an auditionee. 6. People say The X-Factor doesn’t produce stars anymore, but look at Rylan. 7. Paula Abdul’s face during this audition is … Something. 8. This Scouse lad absolutely belting out show tunes. 9. Harry Styles being a divil in Matt Cardle’s ear at the final. 10. JB from JLS wishing everyone a merry Christmas halfway through their rendition of ‘Last Christmas’. 11. Just Wagner, in general. 12. When Gary Barlow tried to have a dig at Tulisa but just ended up looking like a mong. Sick burn Gazza – NOT. Side note – Nicole’s hat. HELLO. 13. Sharon giving Louis Walsh a quick wash.
14. Sharon absolutely LAYING into Steve Brookstein. Not ringing any bells? He won the first series – but not before Sharon assassinated his character on live television. Surely rivalling that of McGregor v Mayweather? 16. The oft-forgotten celebrity version. Gillian McKeith was on it because of course she was. A1 for effort to Chris Moyles though. 17. Frankie Cocozza and this audition. Participation in cocaine and arse tattoos aside, surely this should have been the straw that broke the camel’s back? 18. Rylan fat-shaming Gary Barlow. 19. Sorry, what day is it again? Top tip – bring a dry ice machine with you wherever you go, should the opportunity present itself. Also, this is where Simon admits he eats “the fish burgers” from McDonalds. Celebs, eh? Just like us. Email “19 things we can't believe actually happened on The X-Factor”. 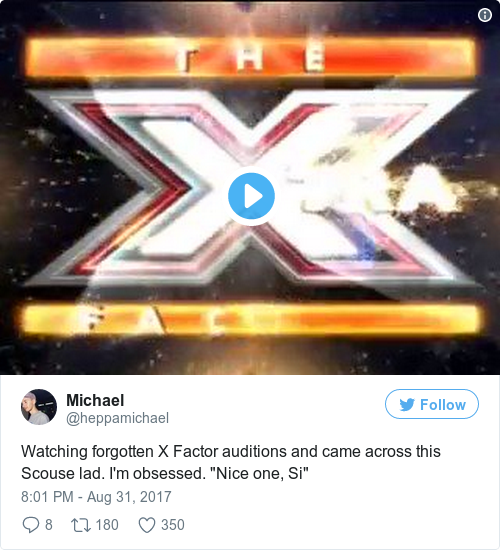 Feedback on “19 things we can't believe actually happened on The X-Factor”.